In tennis, scoring love isn’t a good thing but finding love is a great thing! We caught up with Dominika Cibulkova, Tomas Berdych and Janko Tipsarevic to see how they make love work in the tennis world. While the demanding career of an athlete can create a complicated dynamic in one’s personal life, that doesn’t mean love can’t be all fun and games. 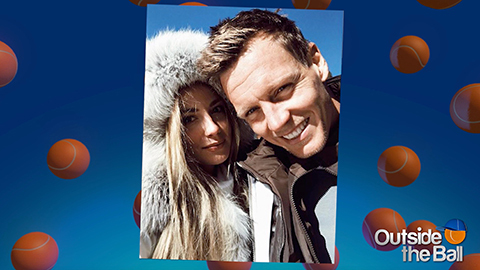 Host Mayleen Ramey joined Tomas Berdych and his wife Ester to play The Newlywed Game. This playful game tested the couple on how well they knew each other. From questions about their marriage to their favorite things, it was clear that Tomas and Ester are a perfect match. These tennis stars have certainly found success in the game of love. Thank you for watching Outside the Ball and don’t forget to share what you love about the sport with us on Social Media!